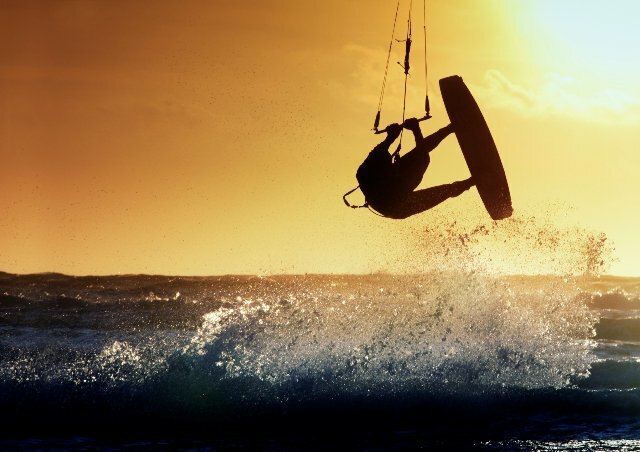 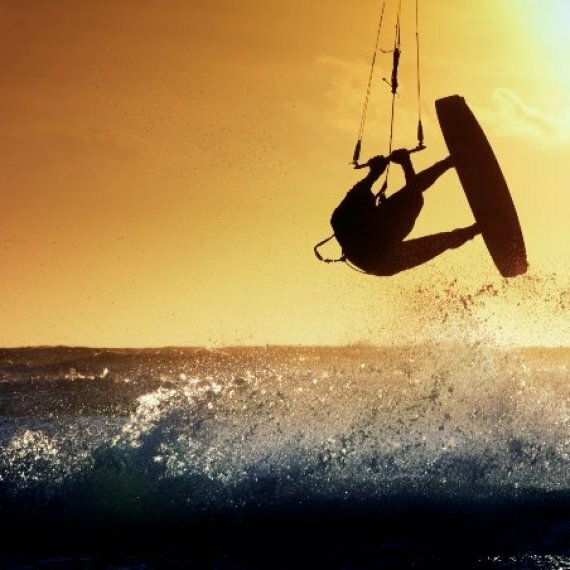 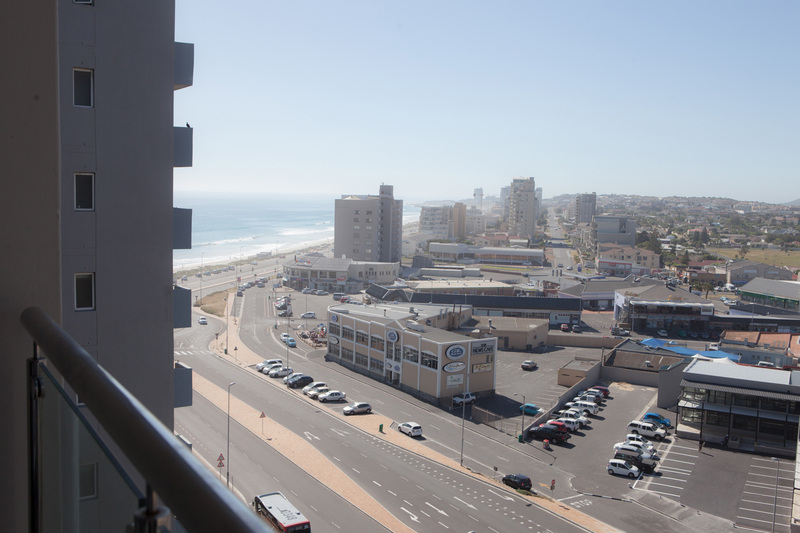 Get away from the city, Enjoy beach views and so much more! 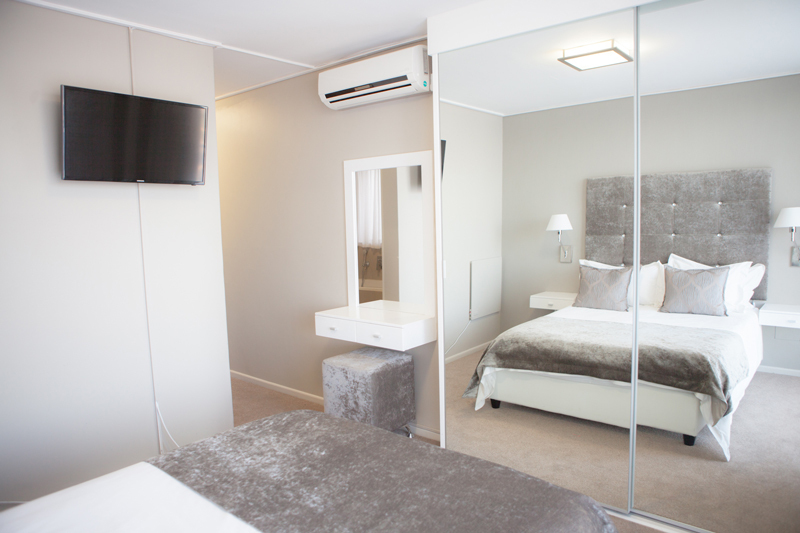 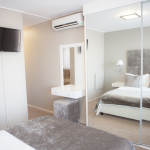 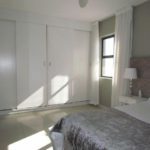 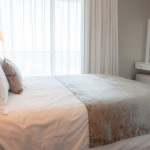 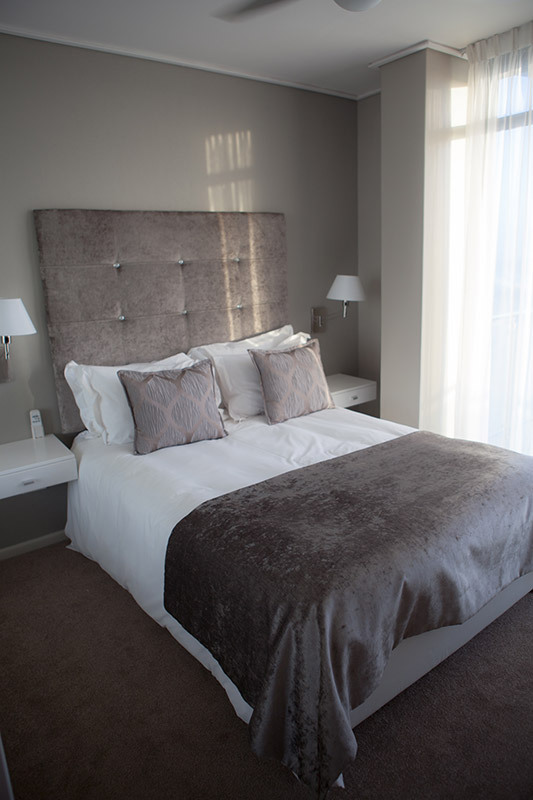 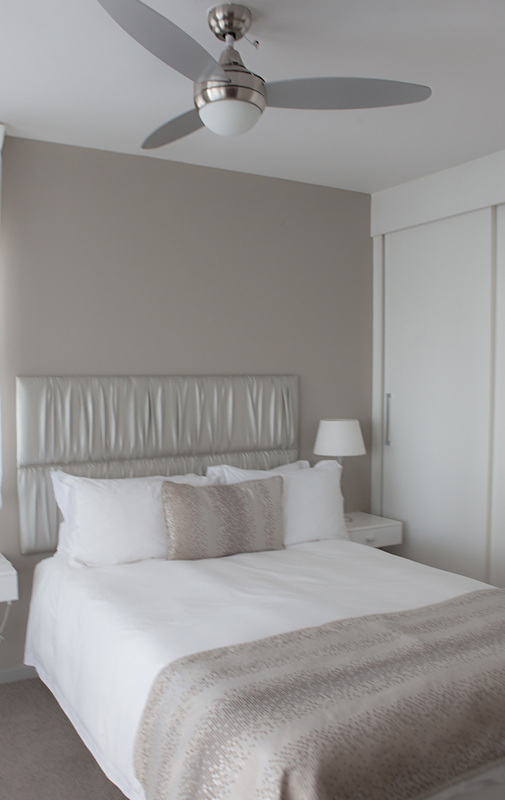 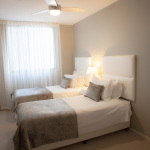 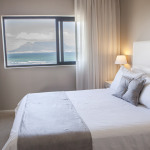 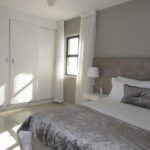 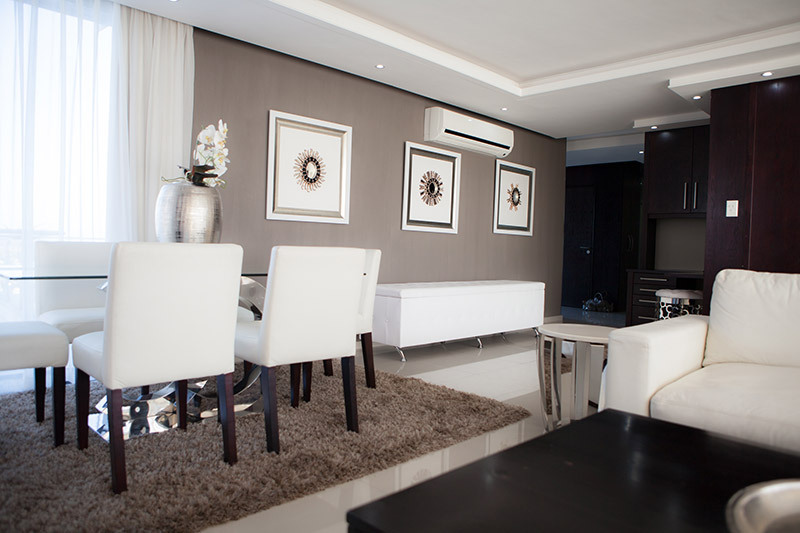 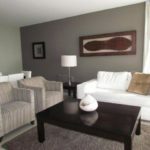 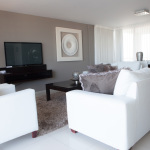 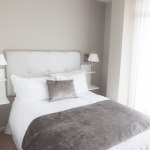 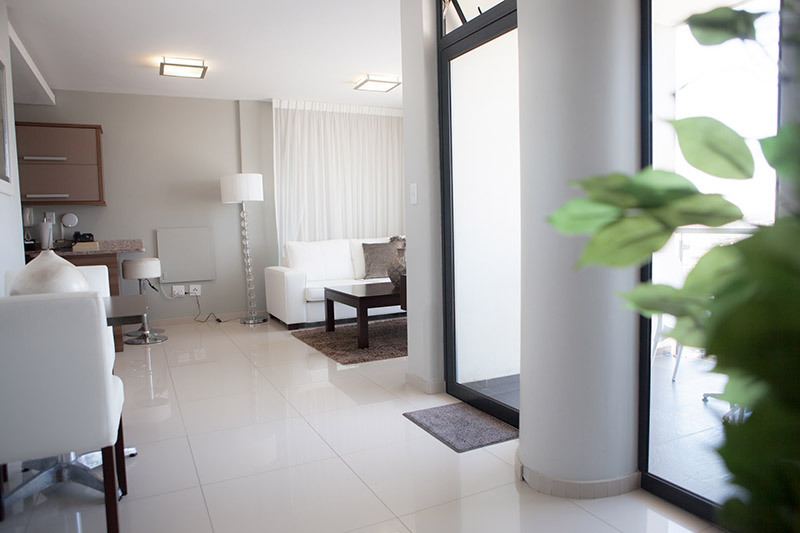 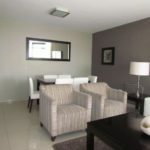 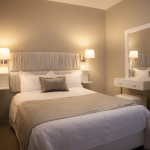 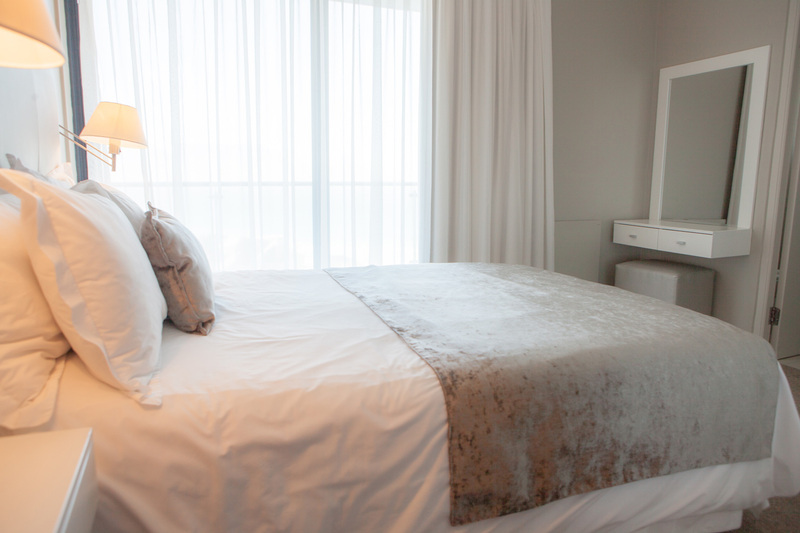 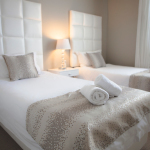 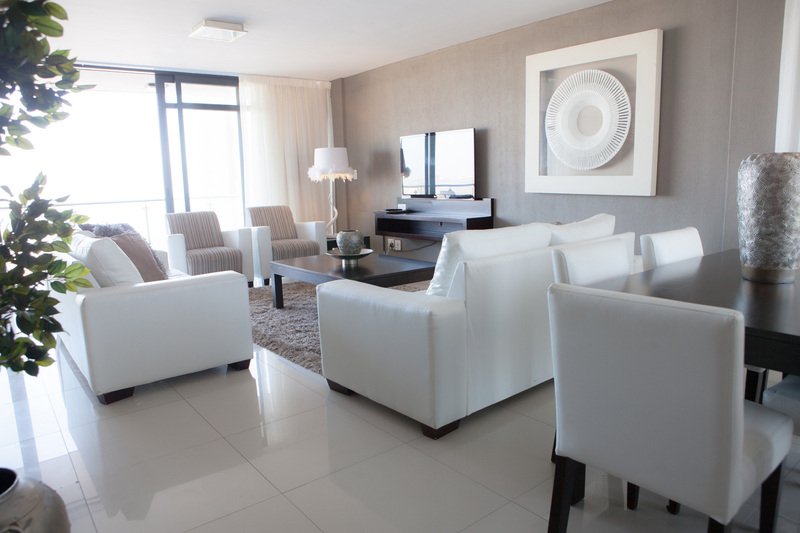 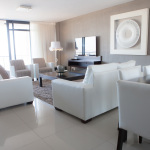 "Redefining class and sophistication, Aquarius Luxury Suites, in Bloubergstrand, Cape Town combines chic and elegant accommodation, superb facilities and warm hospitality to ensure your stay is a memorable one." 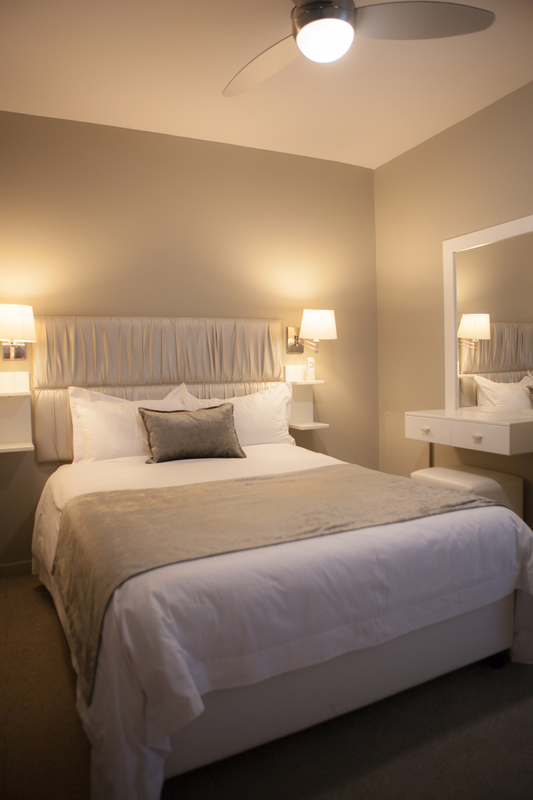 These stunning, serviced suites offer the finest furnishings, linen and finishing touches to make any discerning visitor feel right at home. 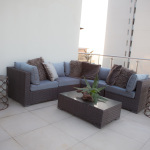 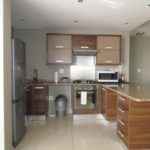 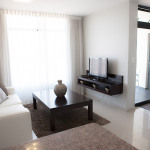 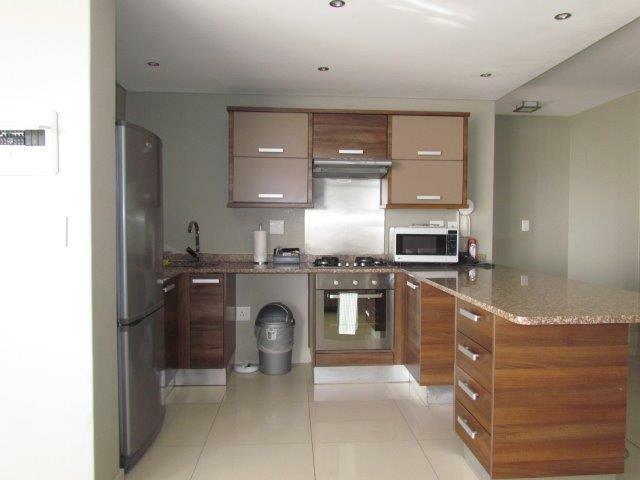 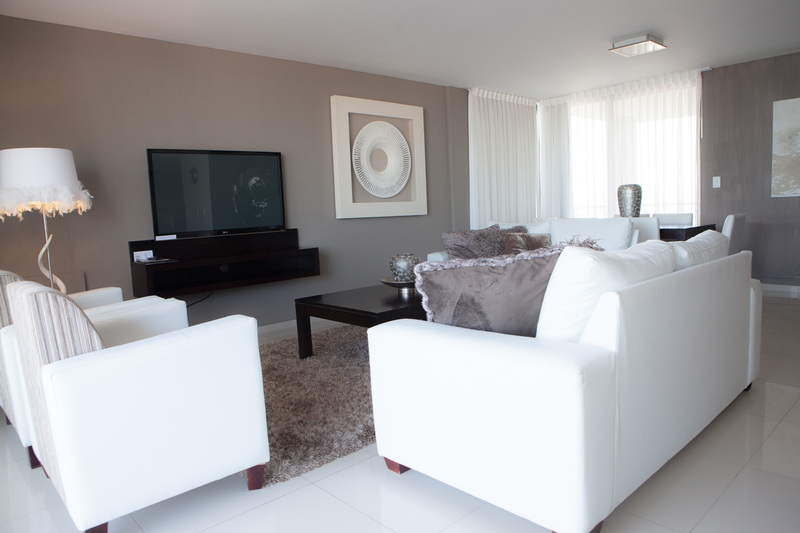 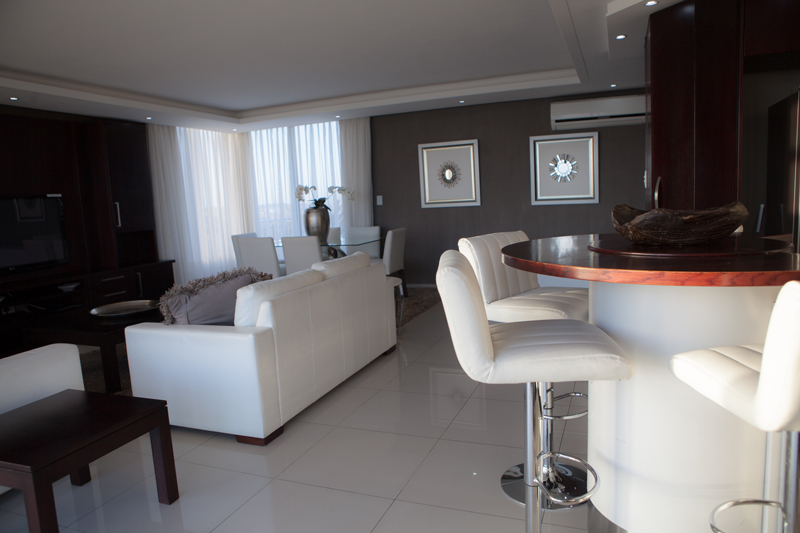 Aquarius Luxury Suites is made up of 55 self-catering suites, comprising of 1,2 and 3 bedrooms, with views from every apartment. 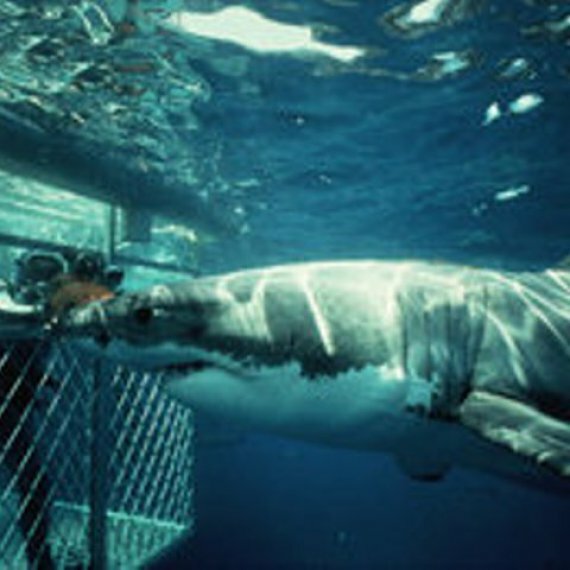 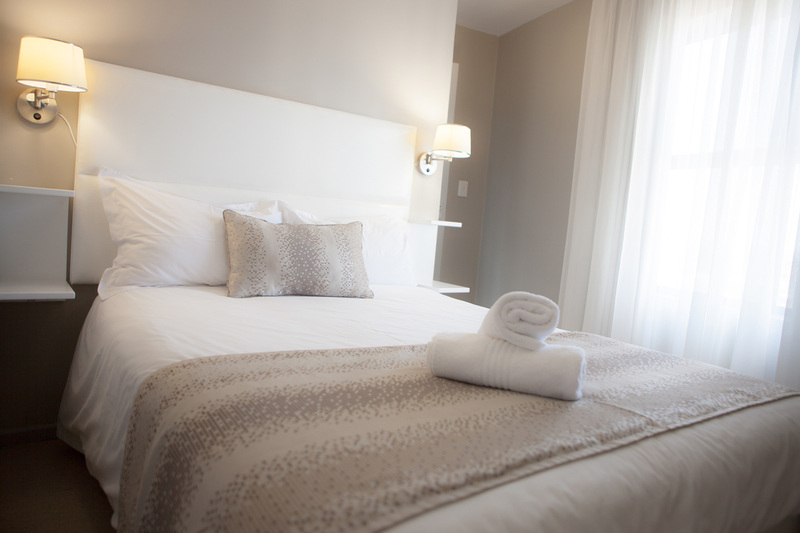 All suites are serviced daily, but exclude guest laundry. 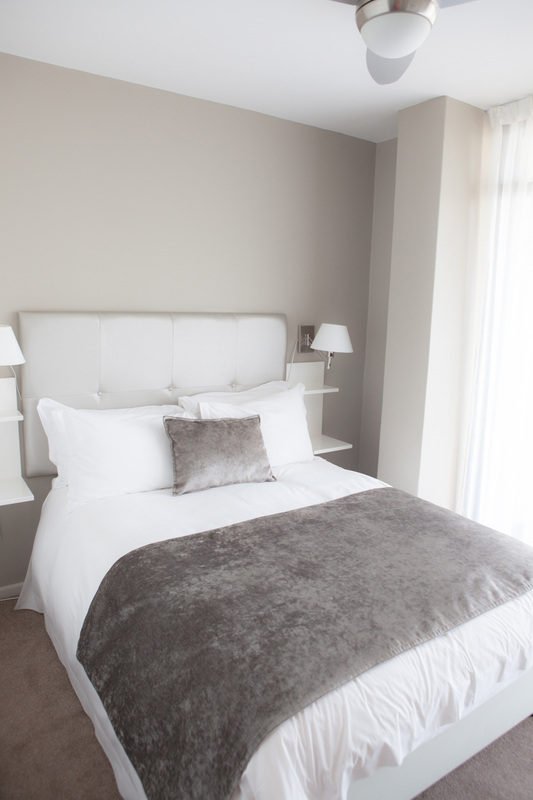 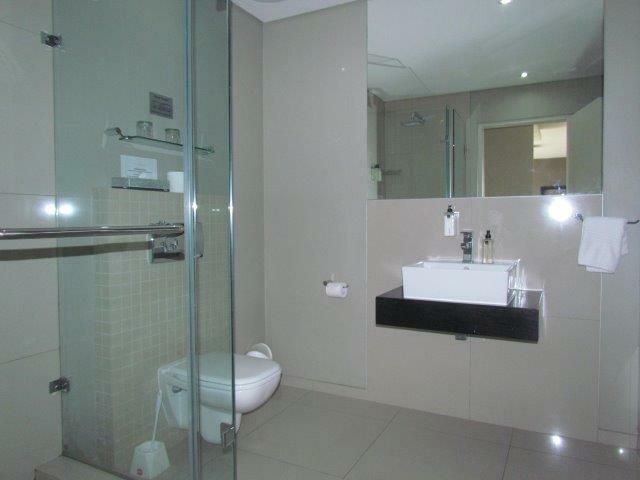 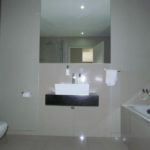 Above rates include 1 secure parking bay per suite. 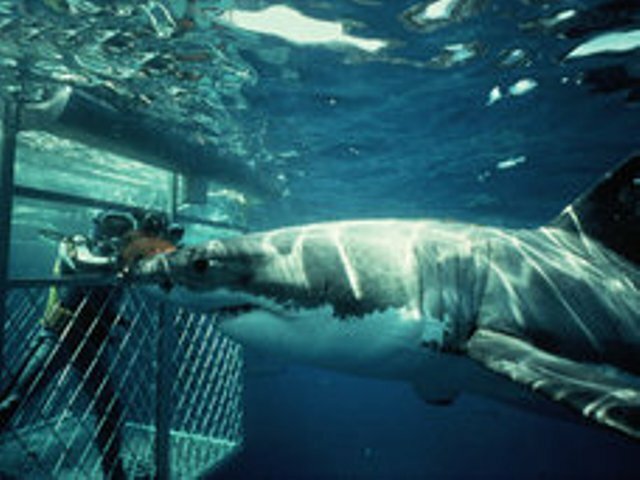 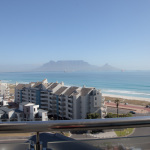 Check- out time before 10H00. 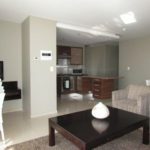 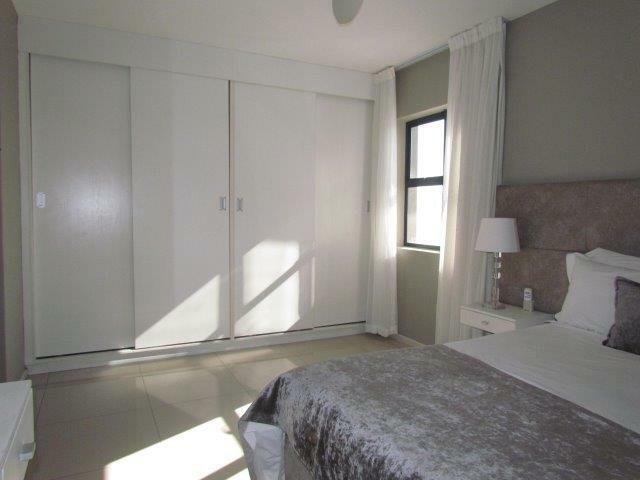 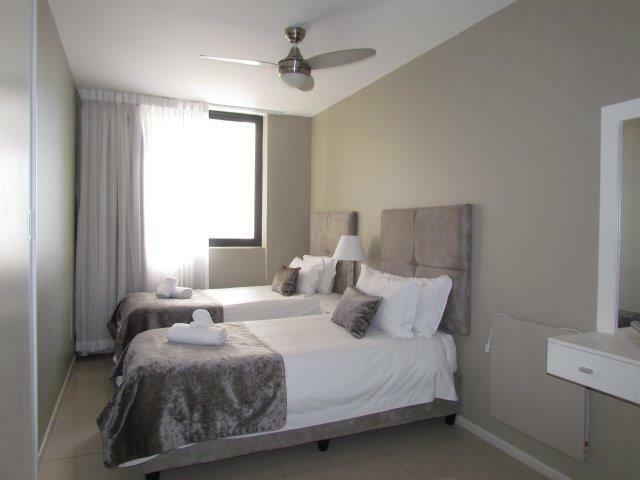 At Aquarius, our guests have all the necessities and luxuries one would come to expect from upmarket accommodation and more. 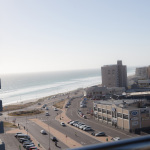 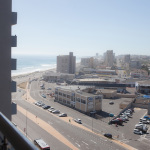 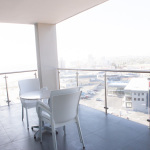 There are many restaurants in the vicinity of our Suites, including News Café, Cattle Baron, Ocean Basket, Primi Piatti, Indian Chapter, and many more. 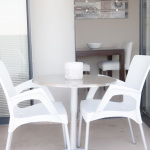 Contact us for more information regarding Dining Out. 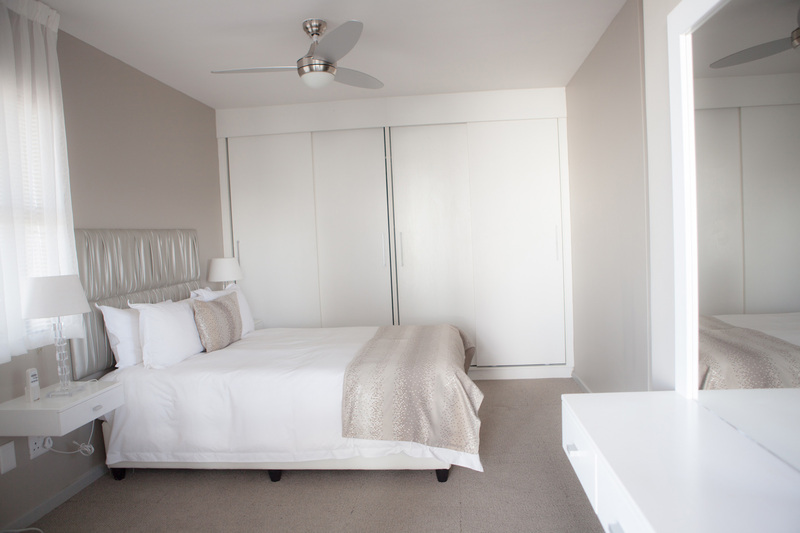 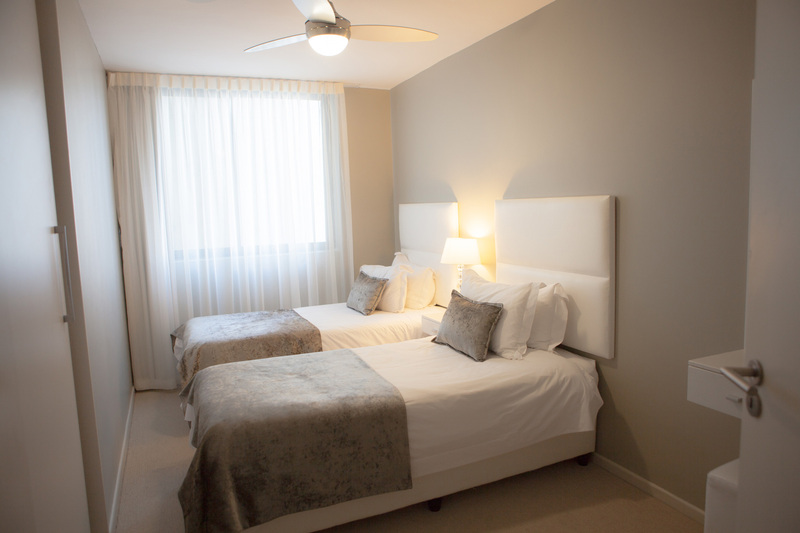 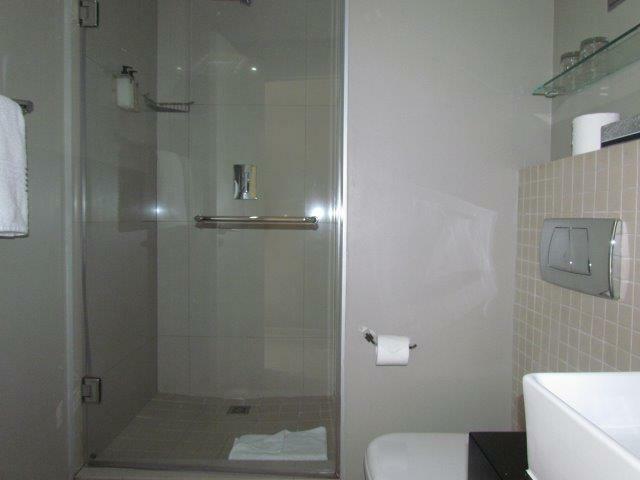 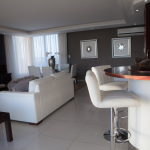 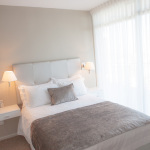 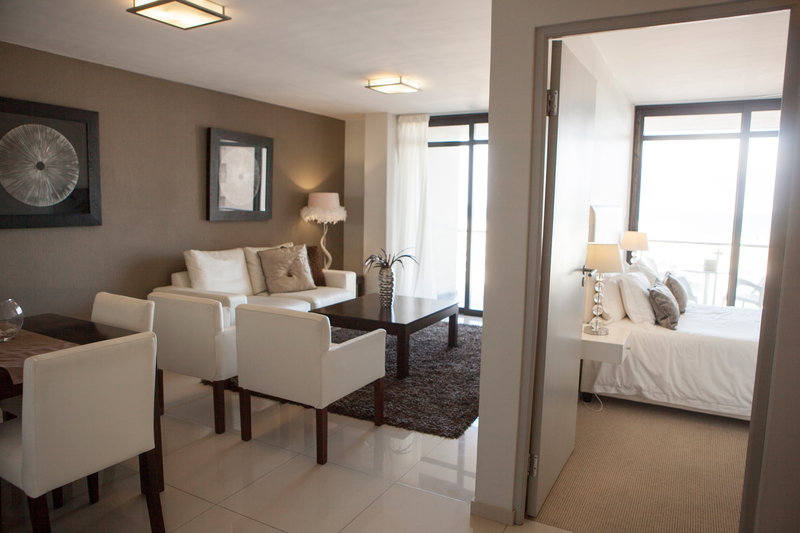 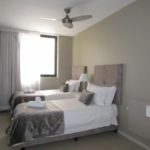 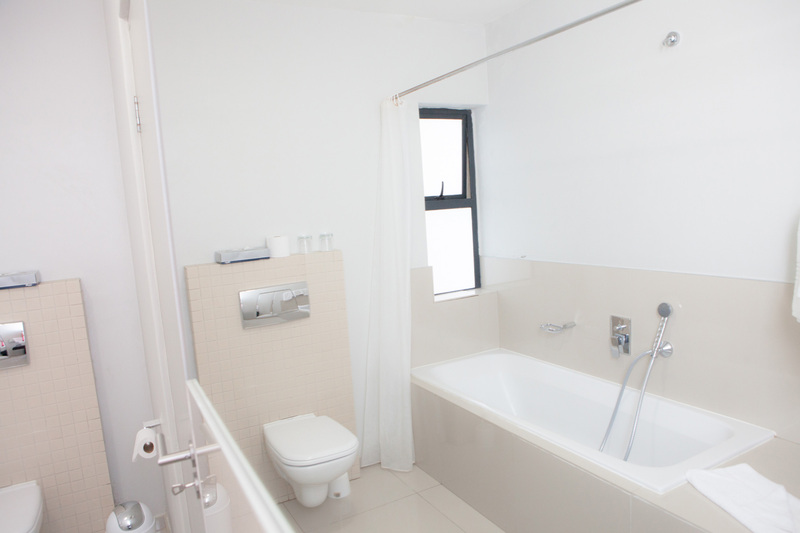 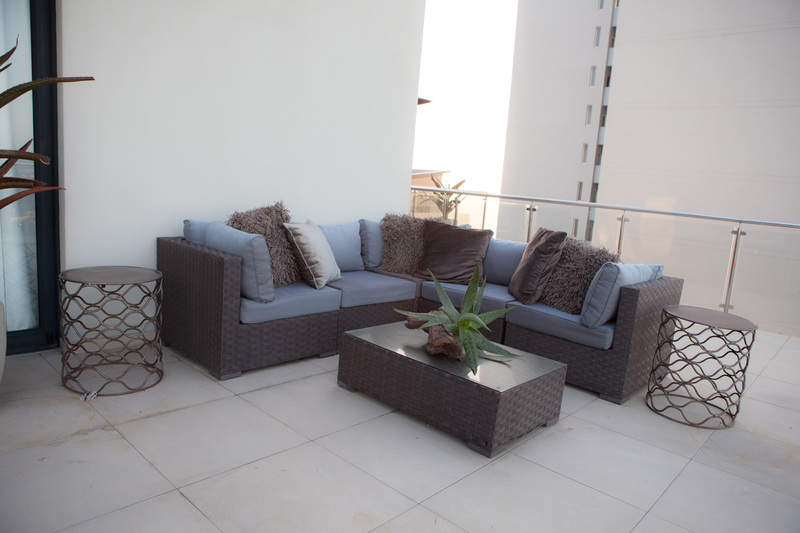 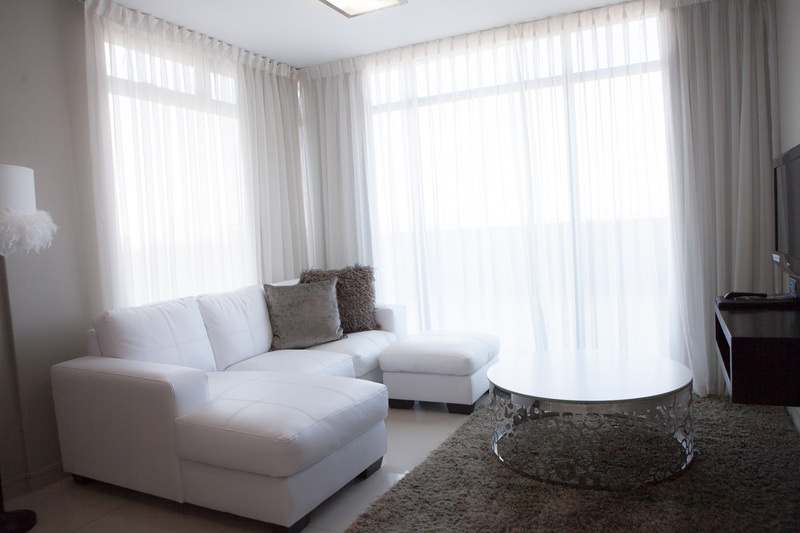 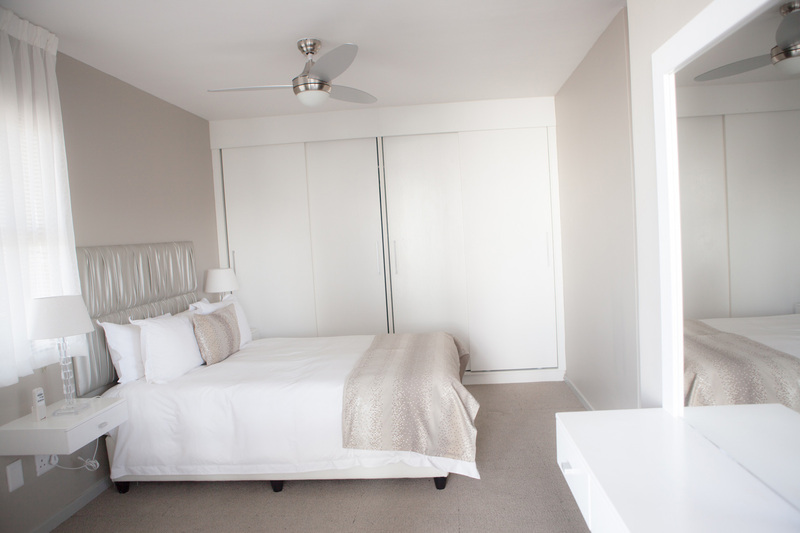 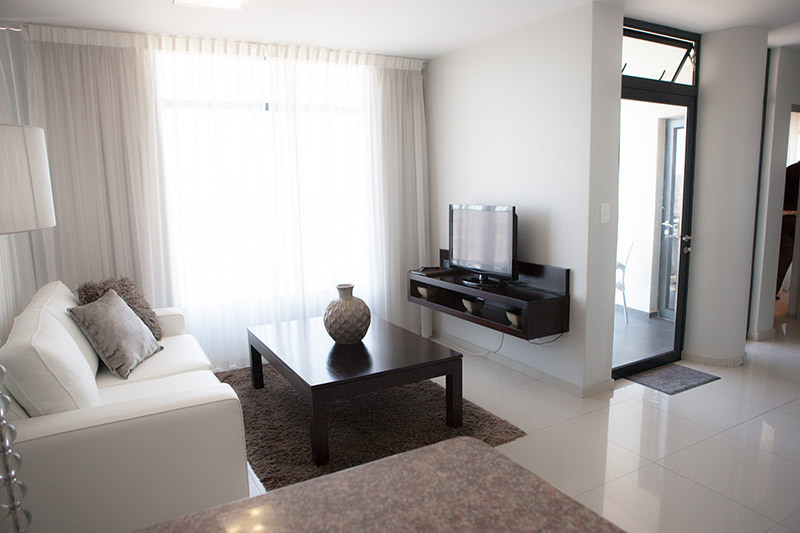 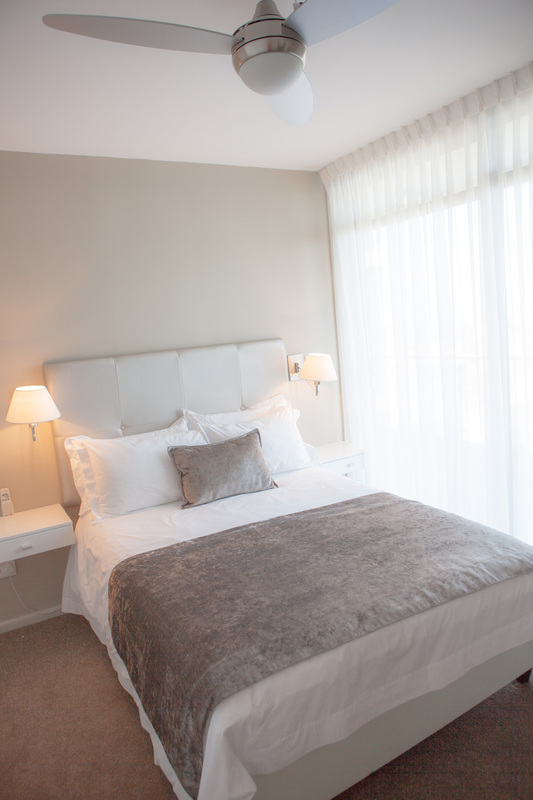 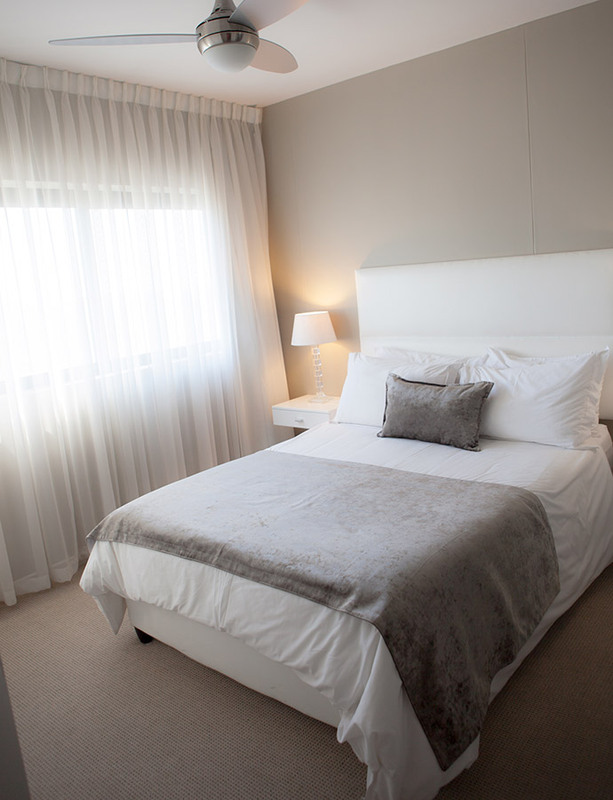 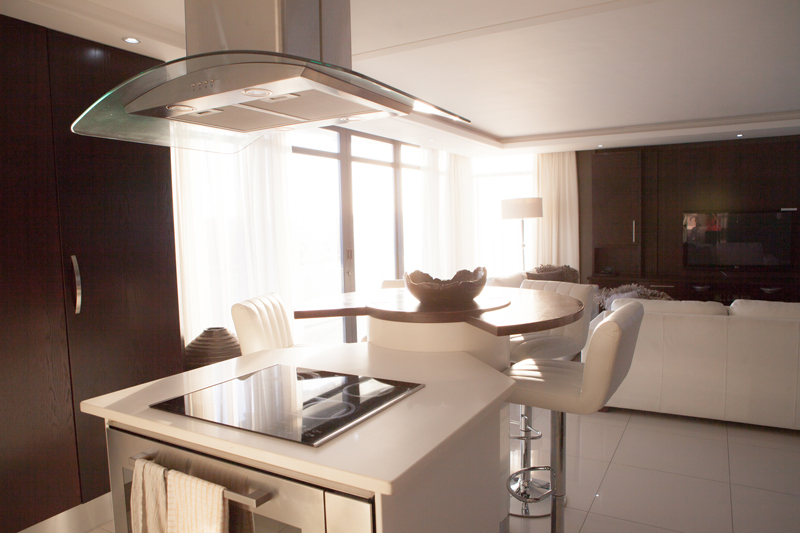 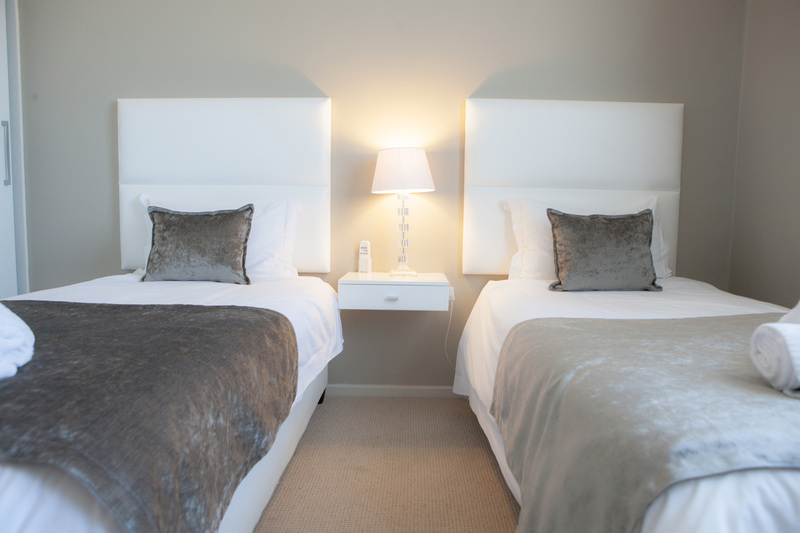 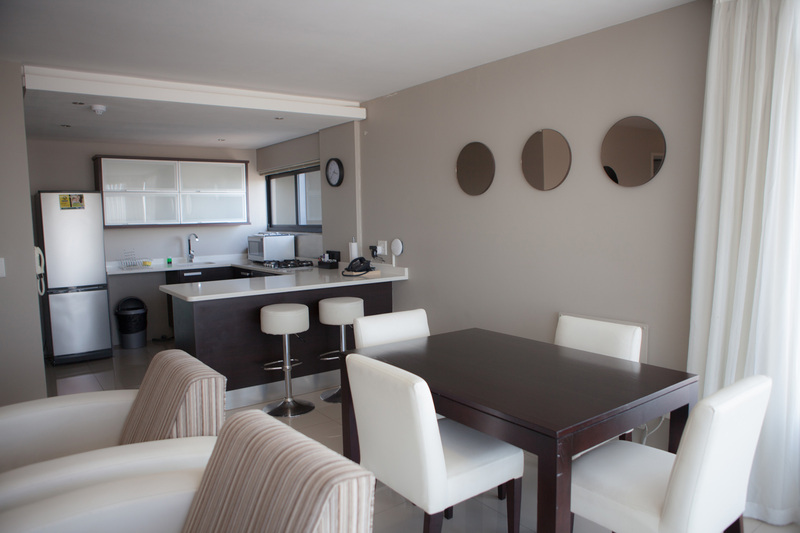 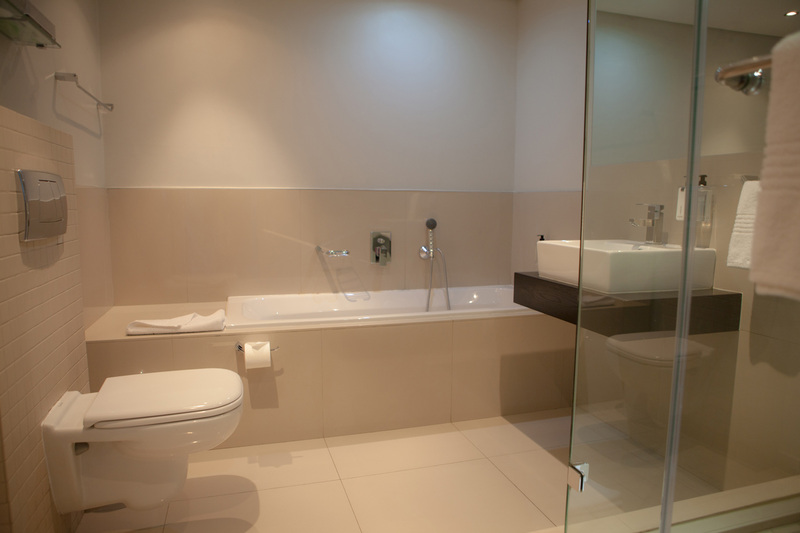 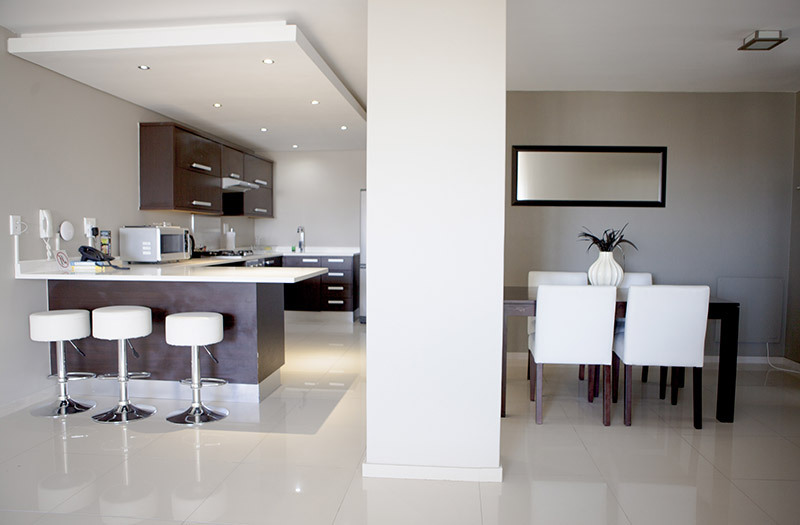 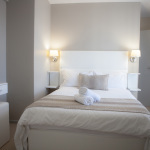 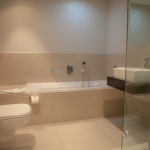 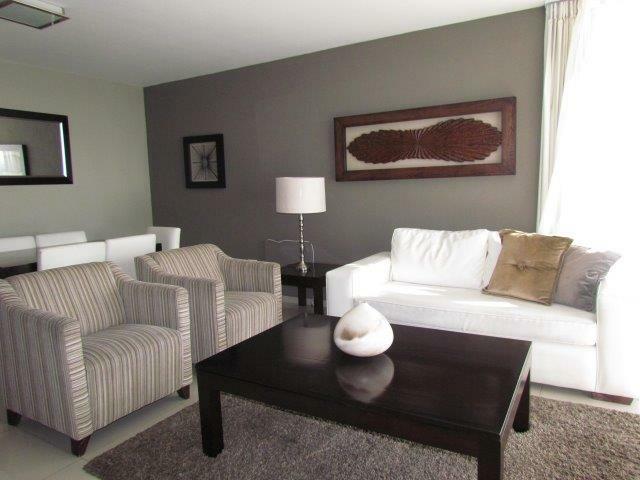 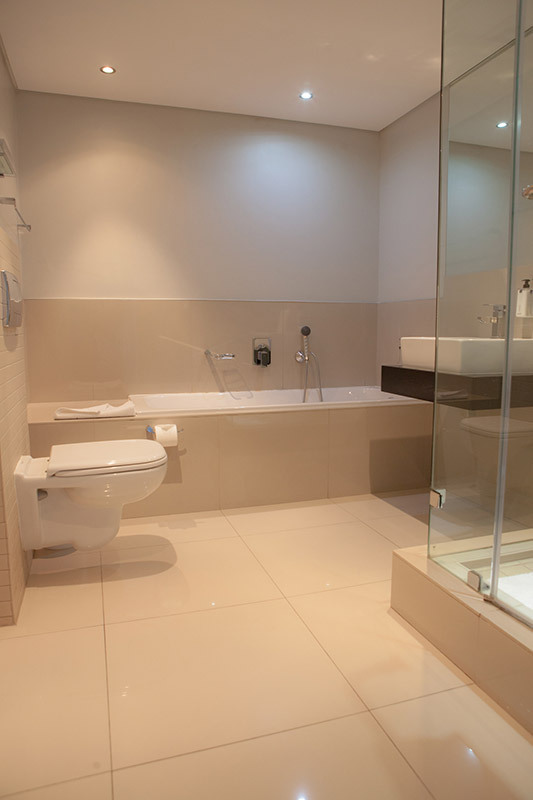 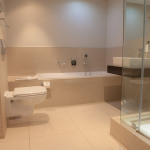 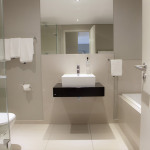 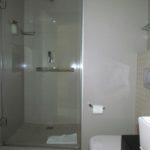 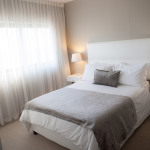 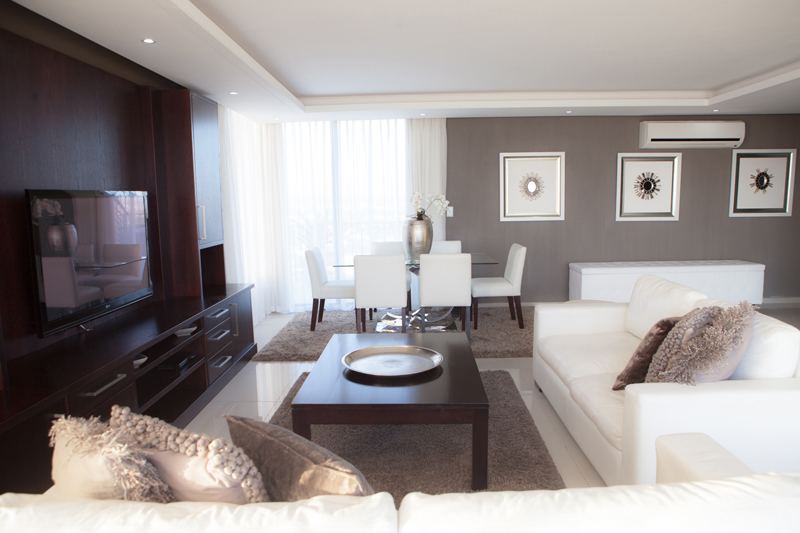 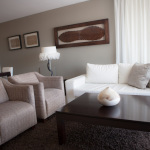 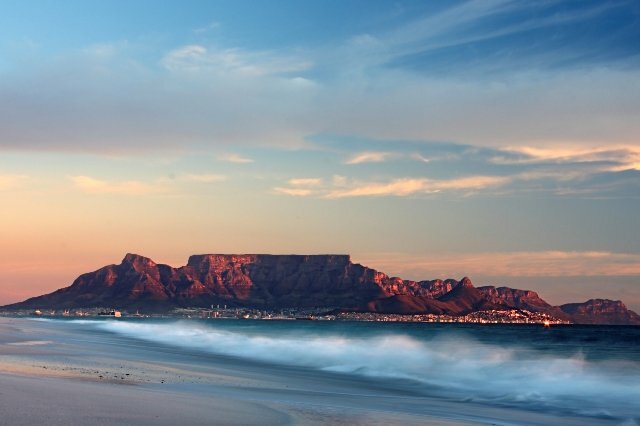 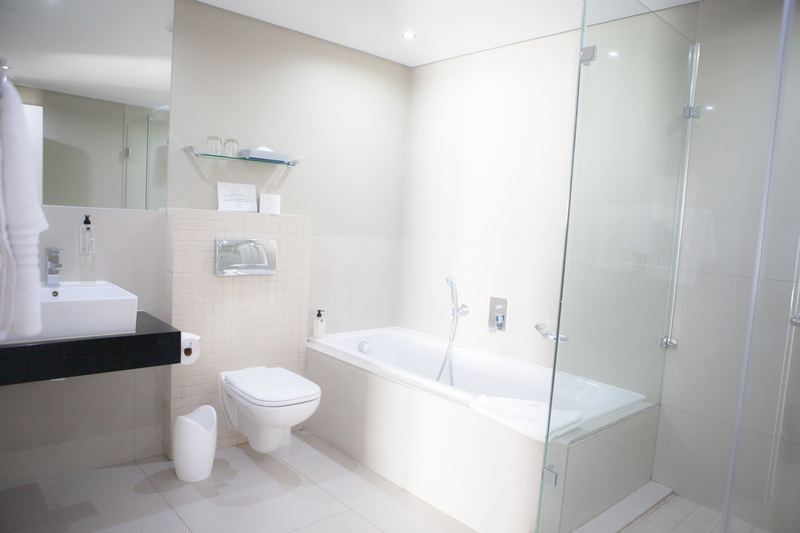 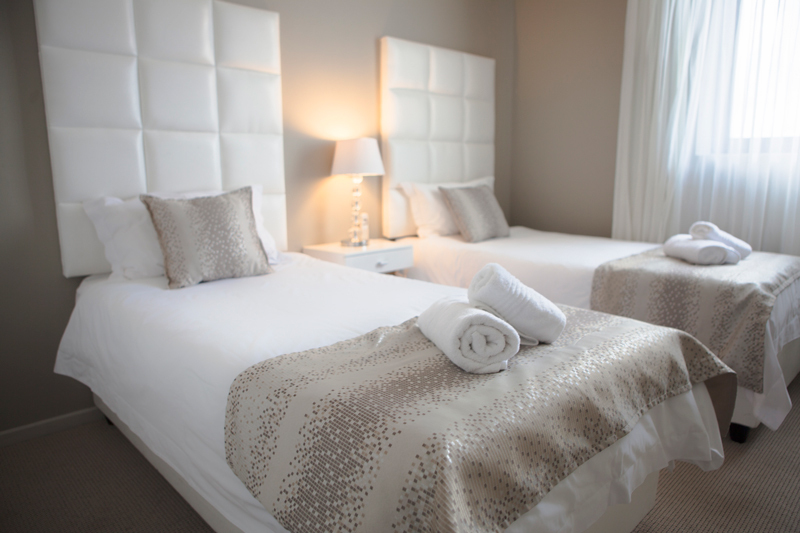 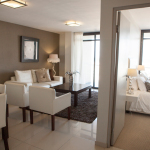 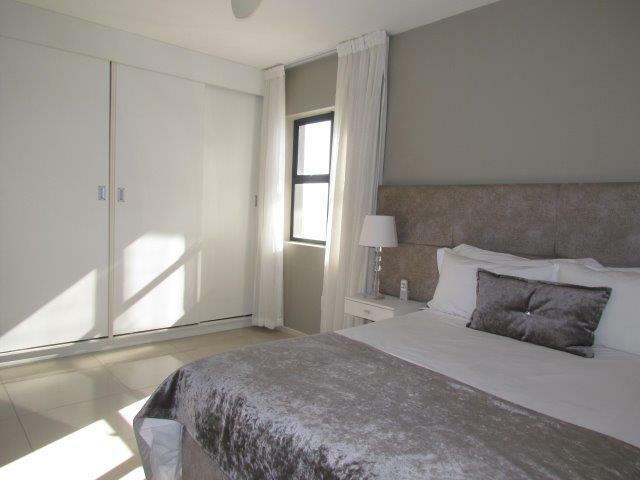 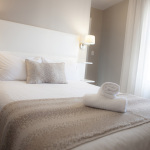 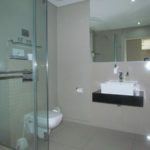 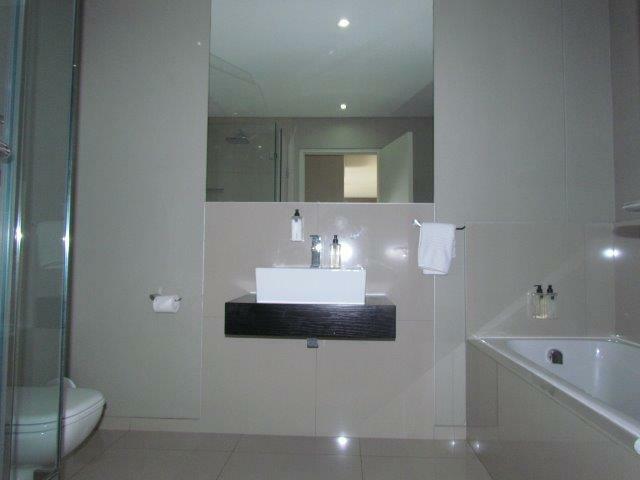 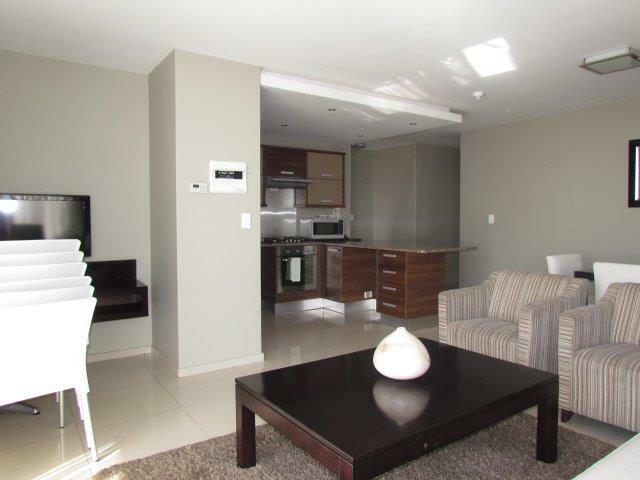 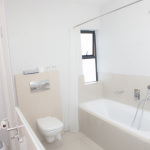 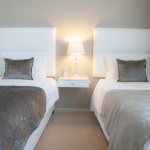 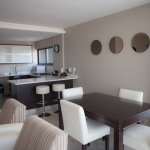 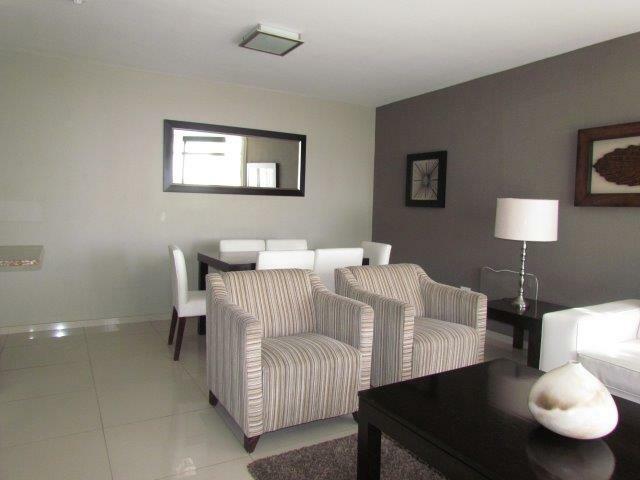 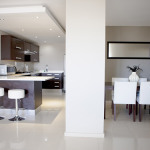 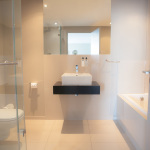 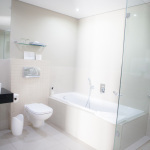 We are situated in the Penthouse of Aquarius Luxury Suites, in Bloubergstrand, a mere 20 min drive from Cape Town. 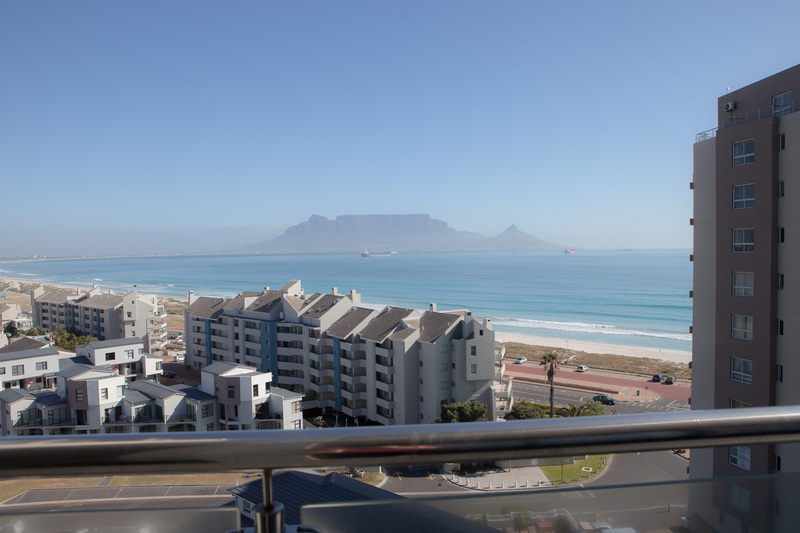 This spectacular location boasts world famous views of Table Mountain and the Mother City, with 360 degree views. 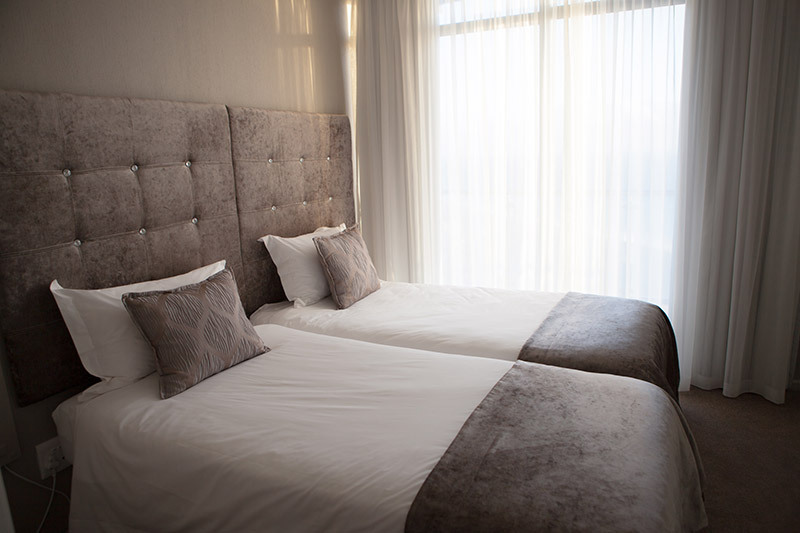 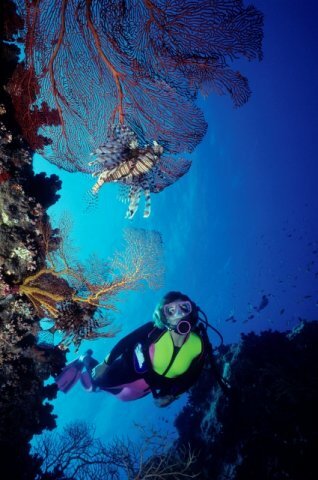 Inspired by the beauty and energy of the majestic Atlantic Ocean, and infused with the experiences and personalities of the owners, the de’ Vara journey strives to leave you feeling utterly indulged and re-harmonised. 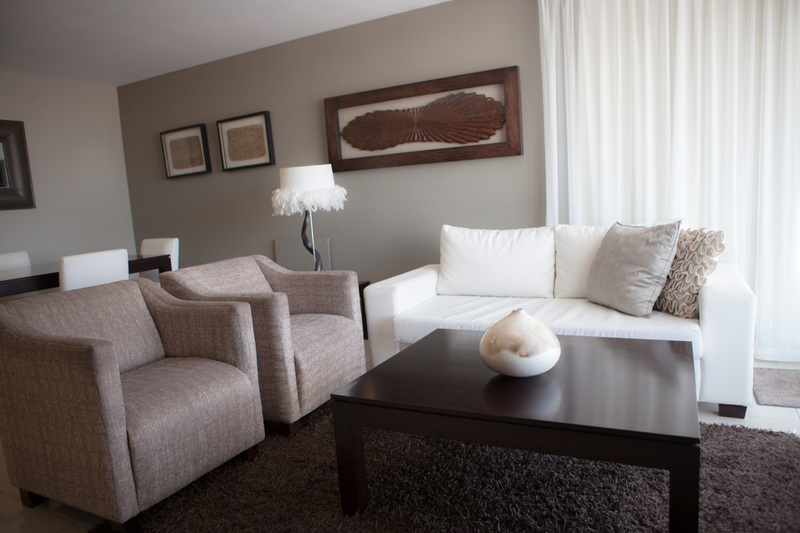 Join de’Vara Day Spa and experience a serene and tranquil environment in which you become one with yourself as the therapist’s tend to you. 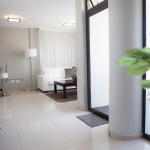 Whether it be a massage, a manicure or a deep cleanse facial, you can be sure to be absolutely pampered, and welcomed. 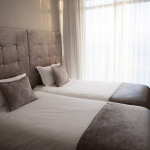 de’ Vara boasts 2 single and 2 double treatment rooms, a hand and foot room, a relaxation area with infra-red sauna and Jacuzzi, a chic and elegant dining area plus access to the rooftop swimming pool and gymnasium. 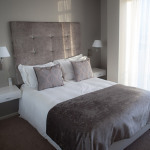 If being totally and utterly pampered, while sipping on a glass of bubbly by yourself or with friends sound’s inviting, then join us in one of our packages. 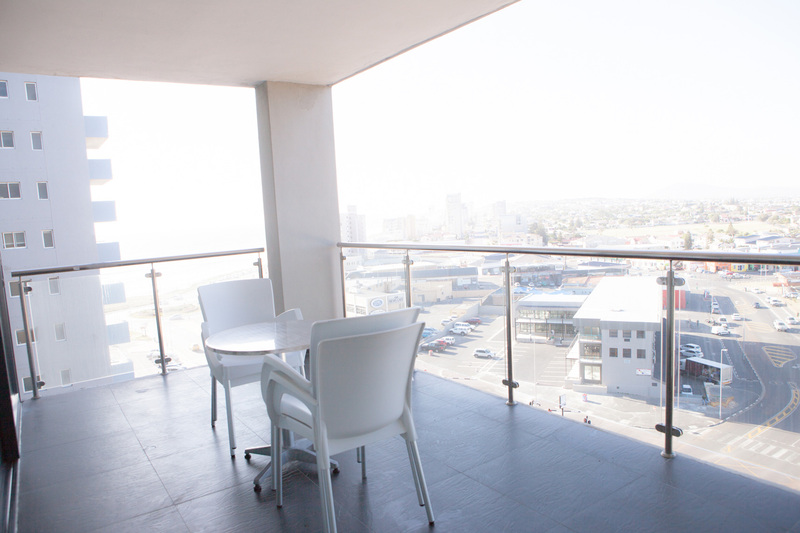 Welcome to Our Place - a boutique deli and restaurant that offers a service that is unique, convenient and embraces the good things in life. 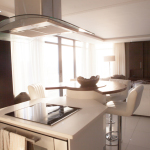 We offer bespoke branded food products to make each meal of the day. 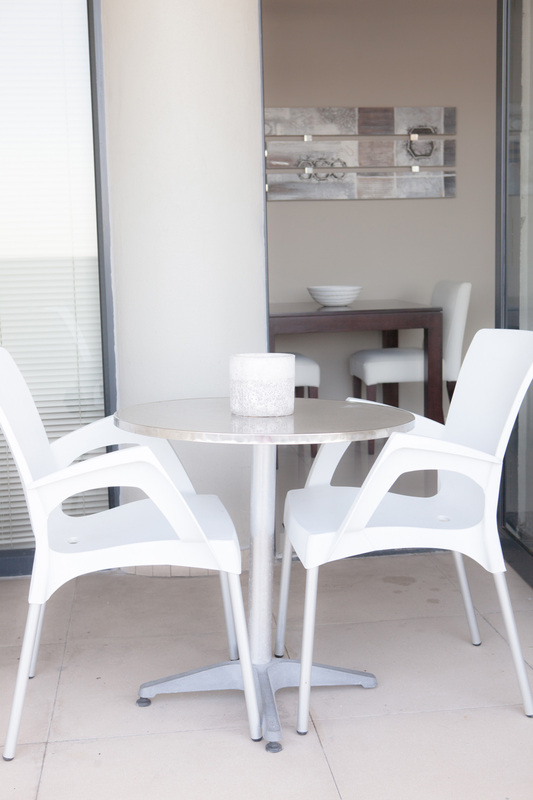 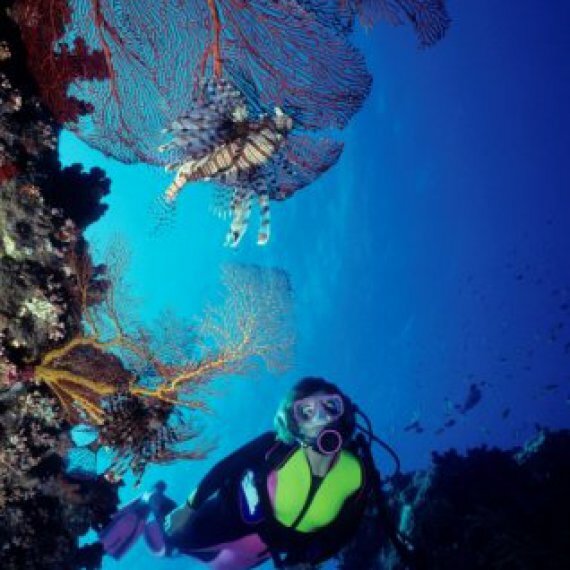 Enjoy absolute convenience and delicious food directly below Aquarius Luxury Suites. 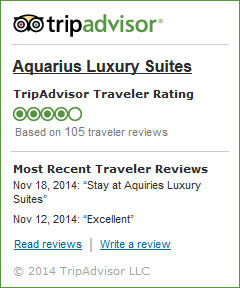 Located in the foyer of the Aquarius Luxury Suites. 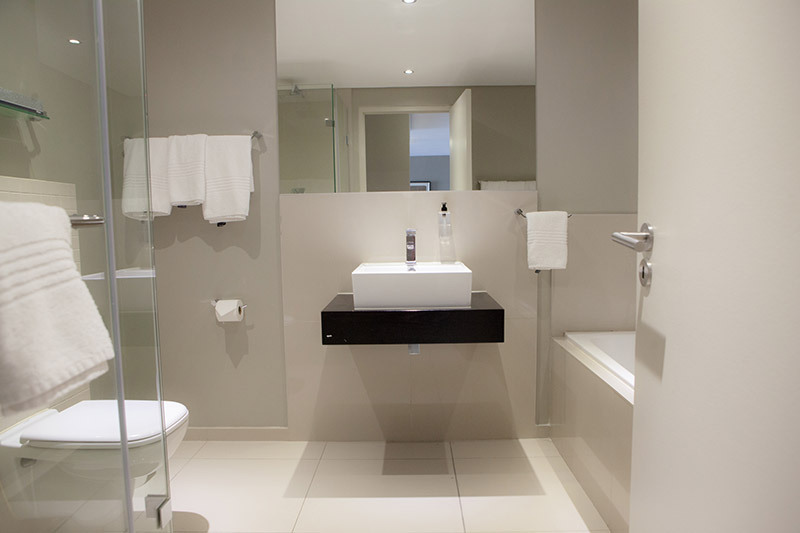 Schiaparelli Hair offer a modern salon, that holds a calm and relaxing atmosphere. 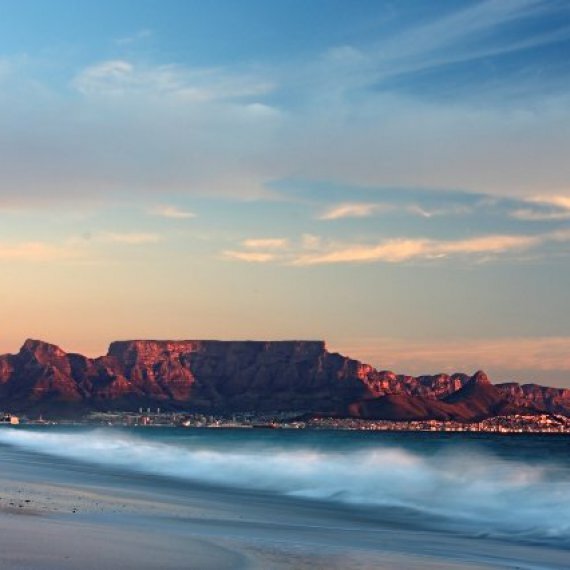 The Schiaparelli team of qualified professionals specialise in an array of hair and gel nail art services only using top quality products from brands that are recognised worldwide. 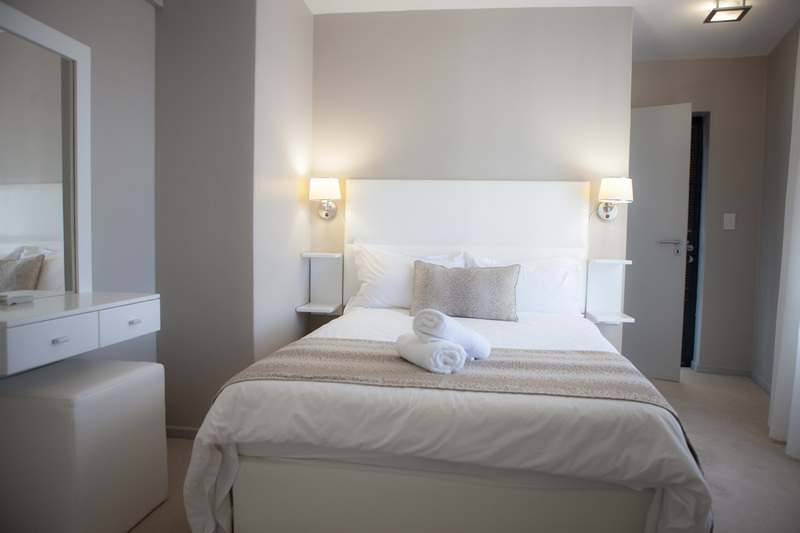 Bookings are preferred to avoid to disappointment, although walk-ins are most welcome. 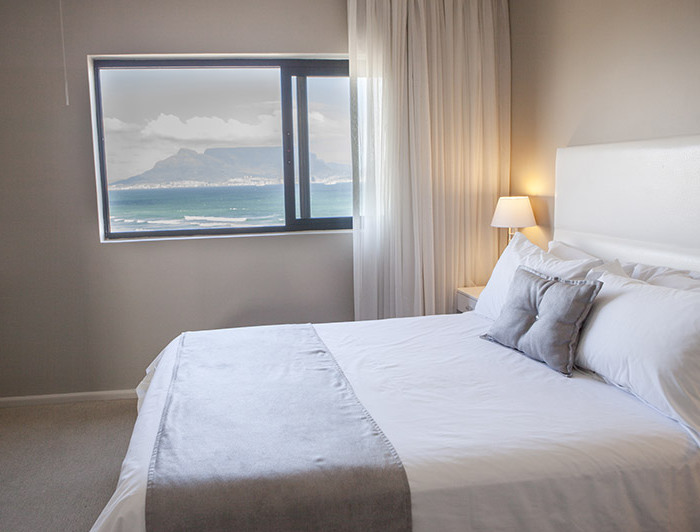 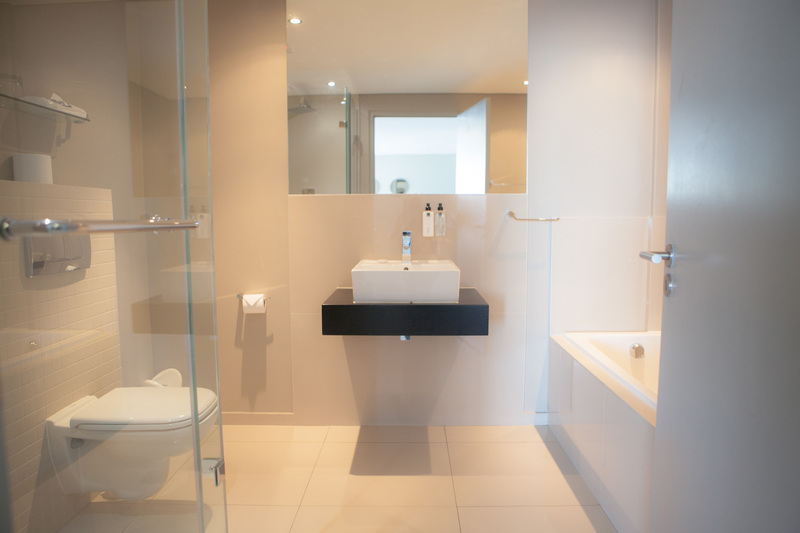 Cape Town’s widely reported water crisis should not and cannot be a deterrent to your stay at Aquarius Luxury Suites this year. 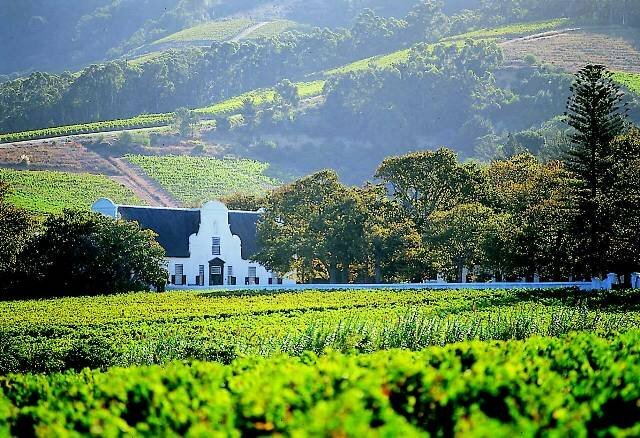 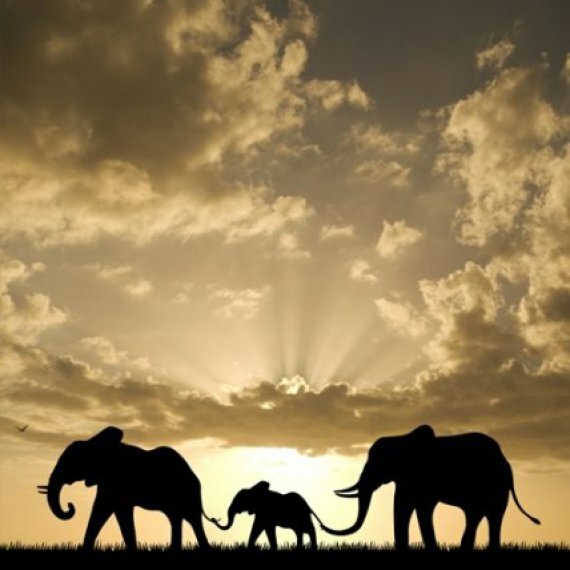 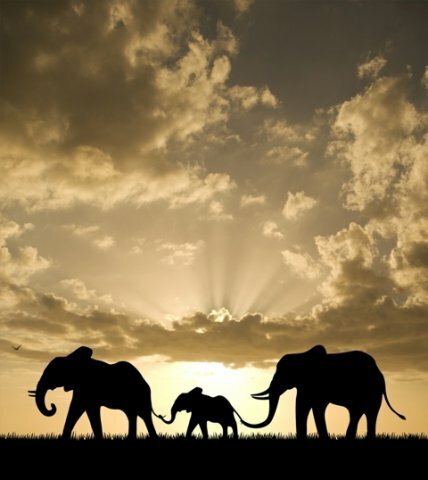 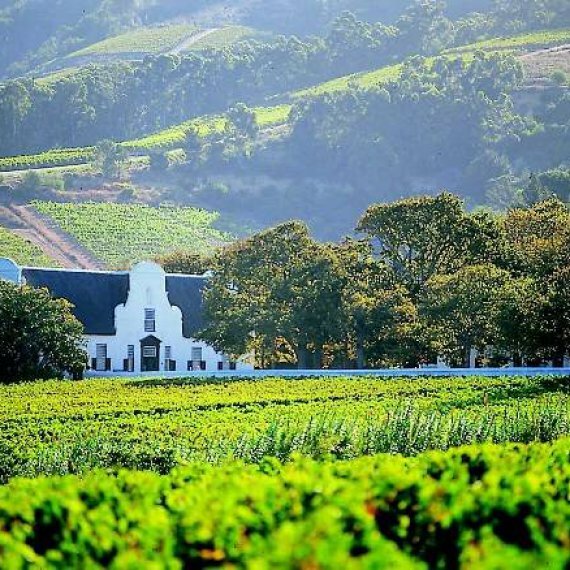 Although the region suffered from a severe drought, we are glad to report that it is business as usual at our property. 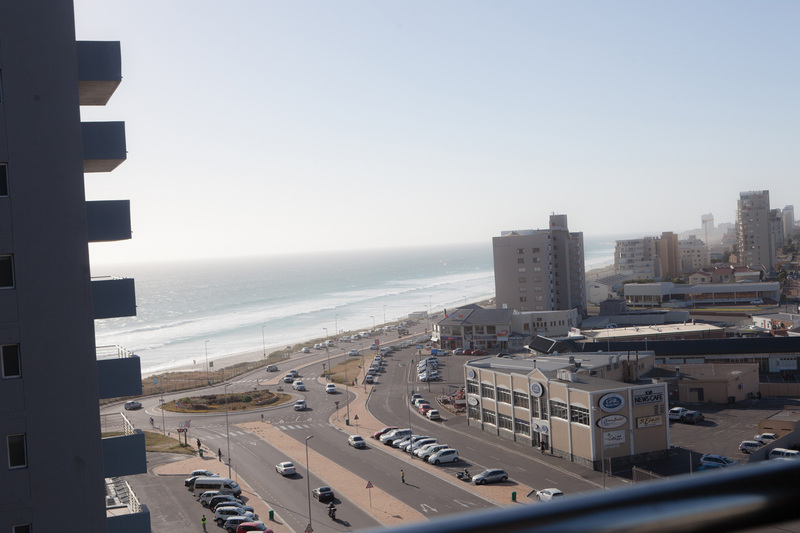 Our doors remain open and there will be water in our taps as we have alternative water solutions in place. 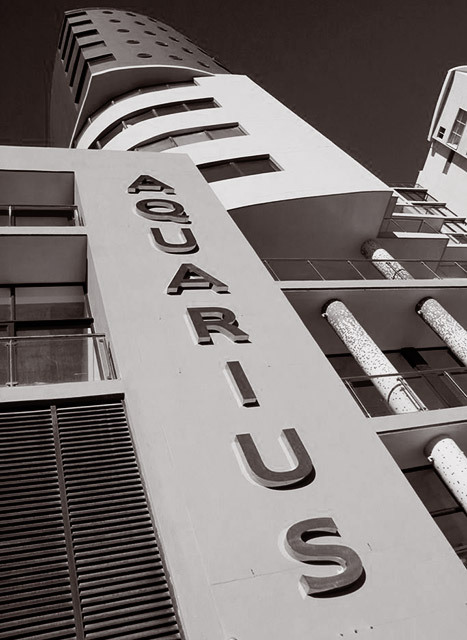 With this in mind we thank you for your efforts in helping reduce the water consumption and we look forward to welcoming you at Aquarius Luxury Suites.